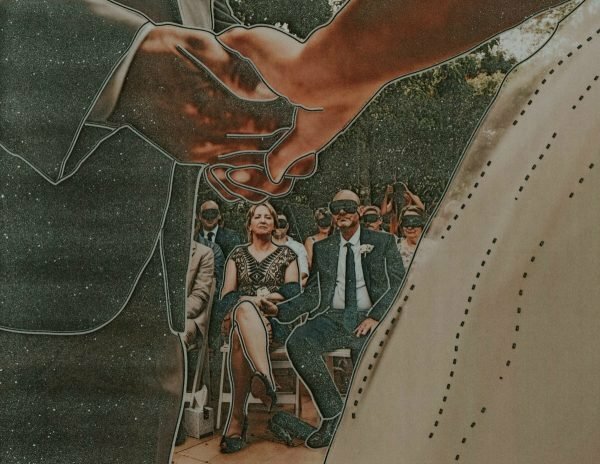 How a blind bride's wedding photographer helped her 'see' her photos. This was the question Sydney-based wedding photographer James Day pondered for a year before photographing Steph Agnew and Rob Campbell’s wedding in 2018. 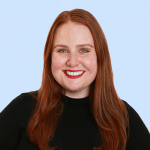 Steph hasn’t been able to see for four years because of Cone-Rod Distrophy, a genetic condition in which the cells in your retina slowly deteriorate and die. At first, the 31-year-old’s vision started getting blurry, but today, she describes what she sees as like watching static on a TV screen. “The way I explain the way I see now is it’s like an old TV you’re trying to tune in and you get the fuzziness of the black, white and grey. That’s what I see, complete and utter fuzz,” she previously told Mamamia. 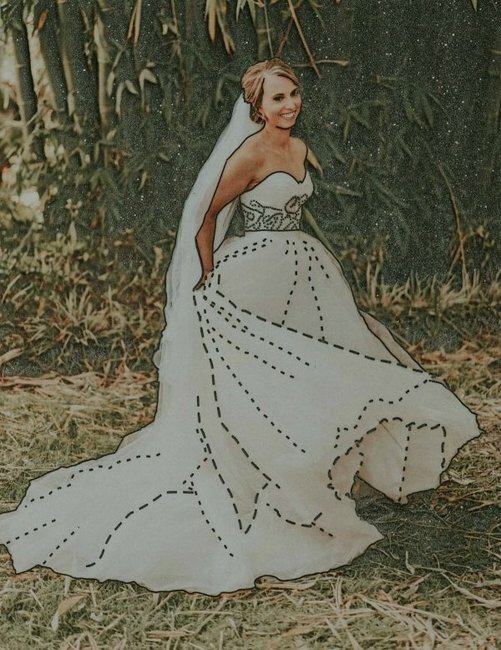 Because of her condition, Steph didn’t think it would be possible for her to fully experience the fairy tale wedding she’d been imagining since she was a little girl. 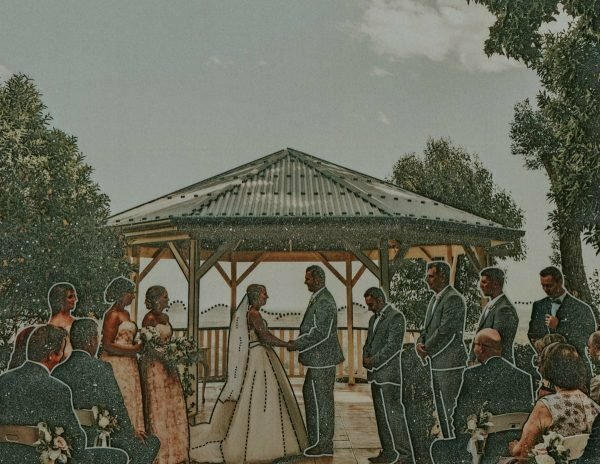 Wedding photographs are traditionally such an important part of any wedding – how could she treasure the small, stolen moments from her day without being able to see them? But then, Day had a crazy idea. 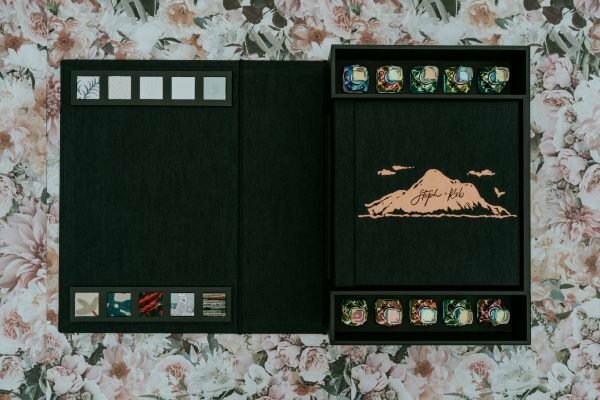 The custom wedding album made for Steph and Rob. Image: Image: Supplied/James Day Photography/Vision Art. From helping Steph and her mum Linda, who lives with the same condition, document finding her wedding dress to the unique way guests at the couple&apos;s wedding were able to experience Rob&apos;s vows through Steph&apos;s ears, Day along with videographers Toni-Jo and Shaun from Lemon Tree Film House collaborated to create a fully tactile, immersive wedding album of sorts. Which brings us back to the first question... how can a bride who is blind see her wedding photographs or watch her wedding video? 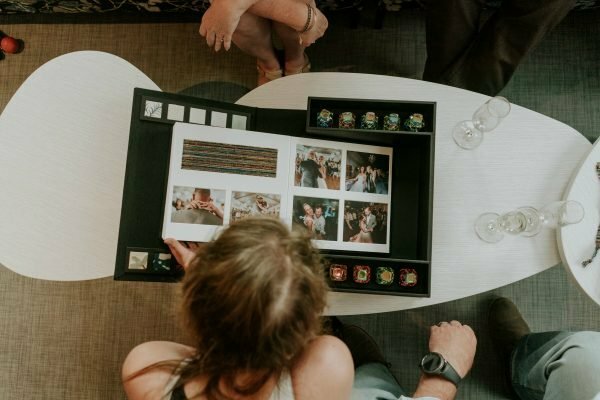 As shown in the viral video from Lemon Tree Film House below, Day worked with experts in their fields to create a completely unique wedding album that incorporates all the motifs and tactile elements from Steph and Rob&apos;s wedding. Combined, these help Steph paint a mental picture of her day. 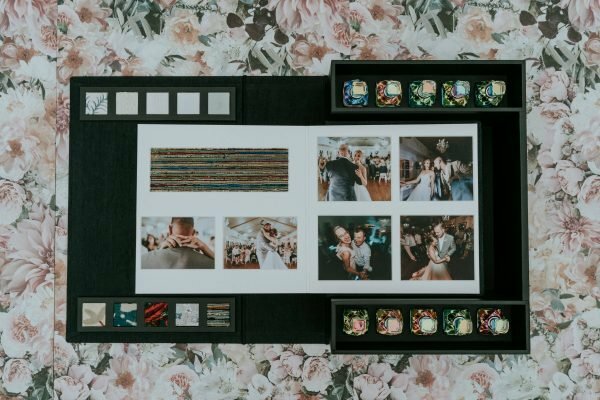 The wedding album experience included eight mounted prints that, with the help of Vision Australia, featured raised details and textures for Steph to feel and create the image of particular moments in her mind. 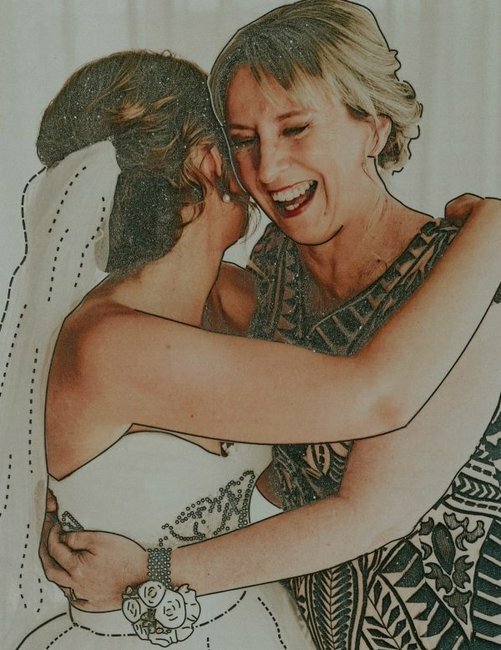 Like the cuddle Steph shared with her mum before the ceremony - in the right-hand corner of the mounted print, Steph can feel the fabric of the dress Linda wore on the day. Image: Supplied/James Day Photography/Vision Australia. 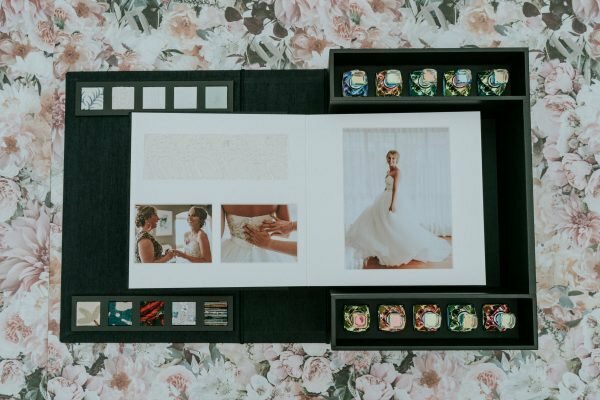 Next, all the images from their wedding were presented in a wedding album unlike any you&apos;ve seen before. 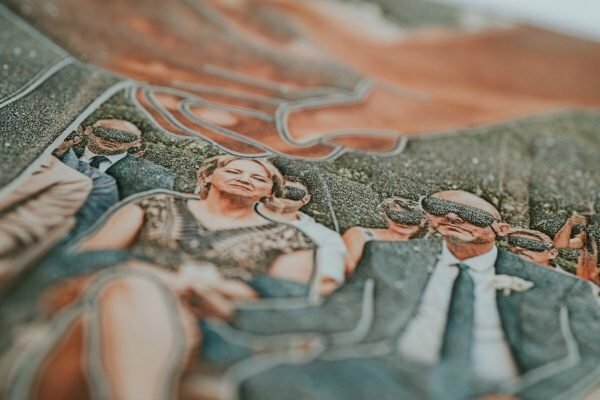 Late last year, we spoke to Day about how he and Steph&apos;s brother Callum used 10 different fabric patches and essential oils to create distinct sensory footprints for the significant parts of Steph&apos;s wedding day - like getting ready, putting on her wedding dress for the first time, walking down the aisle and the first dance. These details were embedded in the album so as Rob can look at the images that remind him of those moments, Steph can smell and feel the details that trigger her memories. Image: Supplied/James Day Photography/Vision Art. 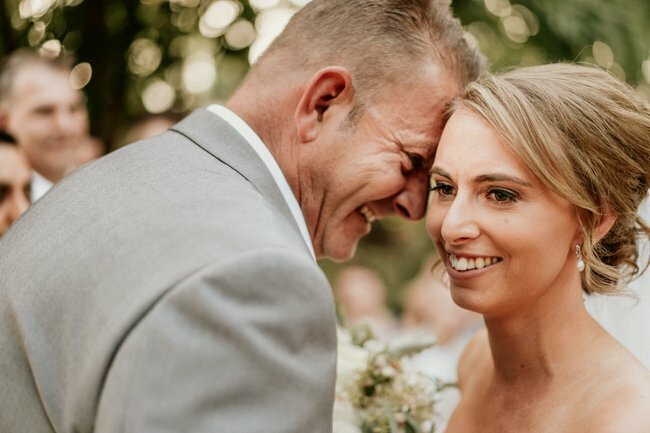 The video, which has gone viral since it was posted on Facebook on Monday, explains not just the intricacies of this wedding album, but what it means to Steph and her family, better than words can describe. You can watch it below, post continues after video. You can also find Lemon Tree Film House&apos;s full wedding video from Steph and Rob&apos;s day, which layers sound to depict what video footage normally would, below It&apos;s 20 minutes long but well worth a watch. Steph + Rob [Full Feature] from Lemon Tree Film House on Vimeo. Of the incredible project, Day said, "Ultimately, the goal was to have something that will take you back to your day and invite others into the experience, and allow them to tell you what they see... to create a mesh of details between your family and all the relationships present on the day. Between it all, it will paint the clearest picture and take you back." Potentially just as invaluable as finding a way for Steph to remember her wedding day was how she discovered the extent of her own strength through the experience, she said. "I wish sighted people could learn to be more appreciative for what they&apos;ve got. I think so many people take things for granted, like sight for instance. Even though I don&apos;t have sight, I&apos;m not breakable, I&apos;m not made of glass and that you can overcome any adversity." All images and video footage were supplied by the couple, James Day and Lemon Tree Film House. This project came to life with thanks to: Steph and Rob, and their families, James Day Photography, Lemon Tree Film House, Vision Art, Vision Australia, Bec Conlon from Little Hoot Hoot, Tristam Evison, Sony Australia, Freedom Edits, Mark Pawlyszyn from Mark and Tash Photography, Adele McCauley, Callum Agnew, and Jesh de Rox from Superfeel.